Shenzhen management information system of regulating and controlling increment of mini car has successfully deployed WoSign OV ZhenSSL certificate-WoSign SSL Certificates! 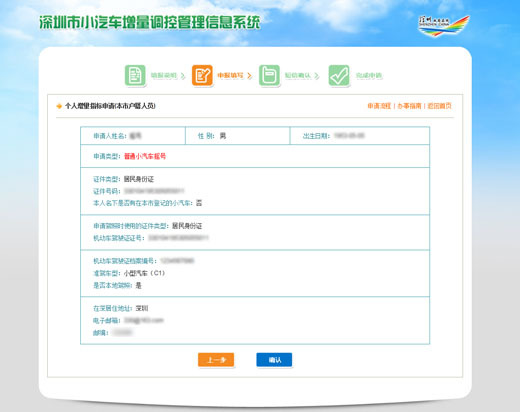 Shenzhen management information system of regulating and controlling increment of mini car (apply.sztb.gov.cn) has successfully deployed WoSign OV ZhenSSL certificate to secure the data transmission. When you access to the applying page of this information system, it is suggested to use the secure access protocol https://, which will present the security lock in address bar of browser. If you click the security lock, you can see the detailed information of the unit to which this web site belongs, along with the logo of Party and government organizations. In order to realize the orderly growth of the amount of mini cars and to ease the traffic pressure, Shenzhen implemented a sudden restriction on automobile purchases at the end of last year, which has been a hot topic. On January 23, 2015, the function of submission online of Shenzhen management information system of regulating and controlling increment of mini cars led by the Transport Commission of Shenzhen was officially available. Applicants can lot number, bid, update indexes and carry out other operations through this online system more conveniently and faster. Applicants can also see about the audit results. The application data relevant to increment regulation involves with real identity information and private data of applicants. How to secure the private data of the public has become a vital link of this information system. 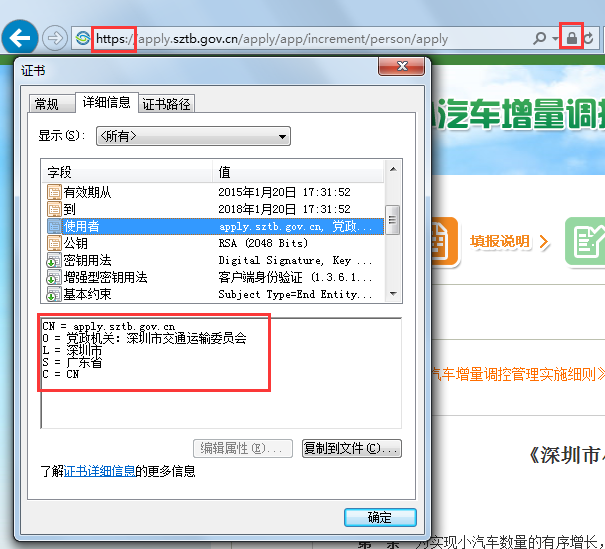 To secure the private data of public, this system decided to use SSL certificate. After comprehensive survey in all directions of technology, performance, price and service, the system finally chose the globally trusted WoSign OV ZhenSSL certificate. WoSign SSL certificate can be perfectly compatible with all browsers after 1999, servers and mainstream mobile devices. WoSign products can replace foreign SSL certificate products in performance. After ten years of hard work, the secure controllable WoSign CA is accepted by users. Being trusted globally with both domestic and international licenses, WoSign has provided certificate products and services for many Party and government organizations, public institutions like the Ministry of Industry and Information Technology, Beijing Municipal Bureau, Hubei State Administrative of Taxation, Shenzhen administration of social insurance fund, Shenzhen housing fund management center, Shenzhen road traffic management center, economic information center of Fujian province to respond to national security strategy. WoSign actively promotes the process of the localization of SSL certificate and secure the internet information in China with its high quality products and services. We hope that more and more government websites and systems can use domestic SSL certificate to prevent traffic hijack and data leakage.